My thanks to Mobile Cloth for being a site sponsor again this week. Cleaning cloths are probably the least glamorous but most essential of iPad accessories – and Mobile Cloth is easily the best I’ve seen. 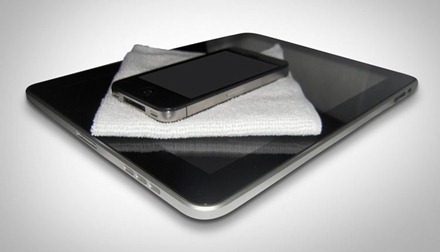 They make the job of keeping your iPad screen free of smudges and fingerprints easier and faster. They feel a little different than most standard cloths and they do a far better job.